Exeter-Milligan's pre-K, Kindergarten and first grade soccer team is made up of eight members. Front row, from the left are Savana Krupicka, Tyler Due and Cade Kresak. 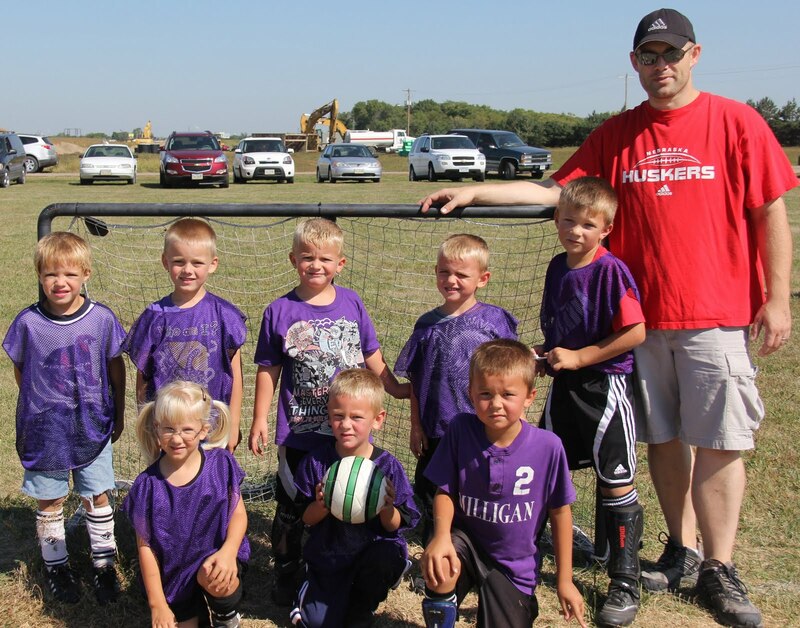 Back row from the left are Mikey Bartu, Troy Kallhoff, Andrew Vavra, Aiden Vavra, Marcus Krupicka and Coach Dan Kallhoff. The team plays in Geneva every Saturday morning against teams from Fillmore Central, Bruning and Shickley.